I've been looking for a fantasy to fill my void since reading the most recent Throne of Glass book, and I think I've found it! Many times I wait until after I've read the first book in a series to read the prequel. But this prequel is really quite a story unto itself. And it gives some great background for the first book. This novella shapes the world of Winterspell, the world of Cane. It sets in motion the events that shape the world Legrand builds for us when we're introduced to Clara. I can say I really loved Rinka. I love that she's a bit naive, yet also mature at the same time. She has been sheltered but yearns to go out into the world and experience things. Yet, when she gets there, her ideals are shattered and she must begin to reconcile the world she has only learned about through books with what she sees in person. Alban, swoons. This guy is really not what he seems. I have to say that I was surprised by his maturity, with the fact that he's only seventeen. He seemed more of a man than a child. And considering he hasn't really taken part in his kingly duties, I don't understand his maturity. This was one of the things I had an issue with when reading this novella. My other issue with this book was the insta-love. It was a love at first site kind of attraction and it kind of bothered me. I think mostly because the human and fairy worlds have been at such odds and I found it amazing that a human would accept a fairy so quickly and completely without knowing anything. We get no inkling that Alban has ever studied about fairies as Rinka has about humans. Overall, the writing was really great. I loved how quickly this novella read. I wanted to keep turning the pages to find out what happened. And the theme was touching and heart breaking with more tragedy than I could have thought possible for such a short read. With this background in place, I hope I will understand Winterspell just a little better. I can't wait to see where the story goes. I want to thank Simon and Schuster for providing me with a copy of this book to read and give an honest review. Receiving this book for free has in no way altered my opinion or review. I can say that I was very excited to read this book. Everyone I had talked to said it was fantastic. So my expectations were really high. Normally I don't allow myself to really have expectations like I did, but I was in a book hangover from another fantasy and I really needed something to push the envelope. This was that book and I was not disappointed in the least. Clara lives in New York City in 1899. I love books that are set during this era. I'm always expecting some kind of steampunk to come out of it and this book did not disappoint in that respect. Clara is a strong female heroine. She's fiercely protective of her family and highly skeptical of those who surround them. At first she comes across as one who acquiesces easily to others, but it's more of a protection than anything else. Then slowly, she realizes that she must fight for what she believes in and her character grows stronger and stronger until she's finally able to do what she feels needs to be done to save her family. But she does remain vulnerable in some areas and this is what makes her a believable and reliable character. Nicholas is a nice enough character. I love that he already has some feelings for Clara, having watched her for her whole life. So it wasn't unbelievable when the two had some chemistry happening. I did like that it was more of a slow build, especially on Clara's part. His story is certainly one that has you gaining some empathy for him. And of course he's handsome and has great charm to him. But Nicholas also didn't come off as anything special to me. You could tell he was caring and needed to be a fighter for his people, but he didn't stand out for me. Godfather Drosselmeyer is one of my favorite characters in this book. He's a bit shrouded in mystery and you from the very beginning he can't be just this man that Clara's parents trusted to take care of her if anything happened to him. He is certainly Clara's protector and this is revealed more and more as the story progresses. And this wouldn't be a fairy tale if there wasn't an evil character. We find that in the form of Anise, the queen of the otherworld. While we are primed to really hate her, I actually found myself having some empathy for her. I wanted to hate her, but at the same time she was so misguided it was hard to really want to thrown her to the wolves. She's just as vulnerable as the other characters and this makes her so real to me. I love that Legrand put this type of spin on the one character we were poised to truly detest. I love that there are paranormal elements sewn into this book. I won't say what they are as I wouldn't want to spoil it, but lets just say it's the reason for the evil Dr. Victor's experimenting. And we also see an alternate world, where things are rarely what they seem and time passes at a different rate. The magical elements are strong in this place, but they are also limited, that is until Clara and Nicholas appear. The writing in this book is truly fantastic. 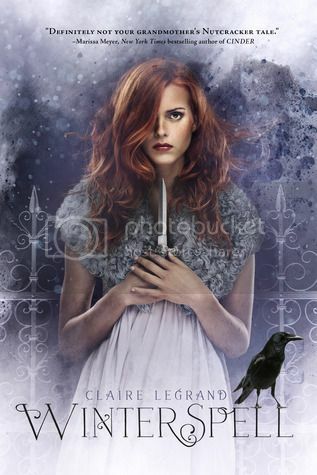 It sucked me in immediately as Legrand's words captivated me and took me on her adventurous ride. I didn't want to to put this book down. And who can resist a Nutcracker retelling? I love that authors are taking those fairly tales we knew as children and twisting them into something new and different. While the elements of this story are at Winterspell's base, it is nothing like the Nutcracker you have grown to love. Overall I was blown away by the imagery and fantastical nature of this story. And when it ended, I really did want more. I was actually a bit disappointed that there would not be a sequel. However, I can see how the storyline had come through at the end and really given us everything we needed to draw our own conclusions. I will gladly pick up anything Legrand writes in the future. Claire Legrand used to be a musician until she realized she couldn't stop thinking about the stories in her head. Now a writer, Ms. Legrand can often be found typing with purpose at her keyboard, losing herself in the stacks at her local library, or embarking upon spontaneous adventures to lands unknown. Her first novel is THE CAVENDISH HOME FOR BOYS AND GIRLS, a New York Public Library Best Book for Children in 2012. Her second novel, THE YEAR OF SHADOWS, a ghost story for middle grade readers, is available now. 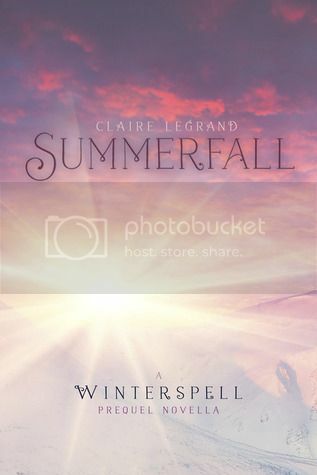 Her third novel, WINTERSPELL, will follow on September 30, 2014, with its prequel e-novella, SUMMERFALL, releasing August 26, 2014. She is one of the four authors behind THE CABINET OF CURIOSITIES, an anthology of dark middle grade fiction due out May 27, 2014 from Greenwillow Books/HarperCollins. Claire lives in New Jersey with a dragon and two cats. 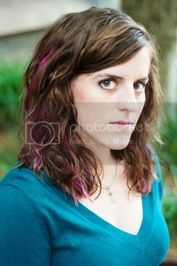 Visit her at claire-legrand.com and at enterthecabinet.com.